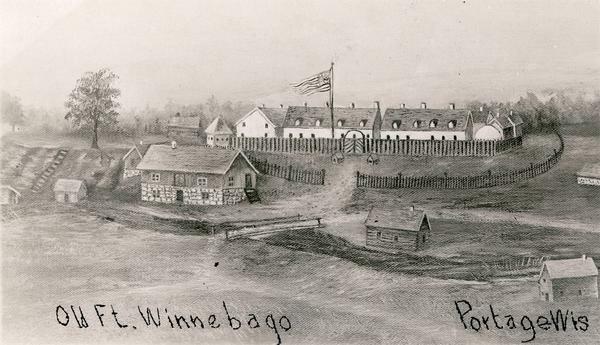 Postcard reproduction of an oil painting of Fort Winnebago, which was built in 1827 by Major William Whistler and a detachment of the First Infantry. Subsequent construction was carried out under Lieutenant Jefferson Davis, and the fort was abandoned in 1840. See Image ID: 28343 for alternate view.